The veteran guitarists also reveal plans for their upcoming solo albums and talk about their early influences. Hint: Chris picked up a guitar because of Ace! In this week’s new episode of Metalhead to Head, former KISS guitarist and current solo artist Ace Frehley meets up with Savatage and Trans-Siberian Orchestra guitarist Chris Caffery! Caffery, who also began a solo career and has released three albums on his own since 2004, admits early on that the first record he ever purchased was KISS’s breakthrough 1975 record, Alive! Frehley notes that it was ”the record that made KISS” and notes Jimi Hendrix and Led Zeppelin as influential artists in his early years of playing. The duo demonstrate some guitar soloing and discuss how the greatest guitar solos are structured. 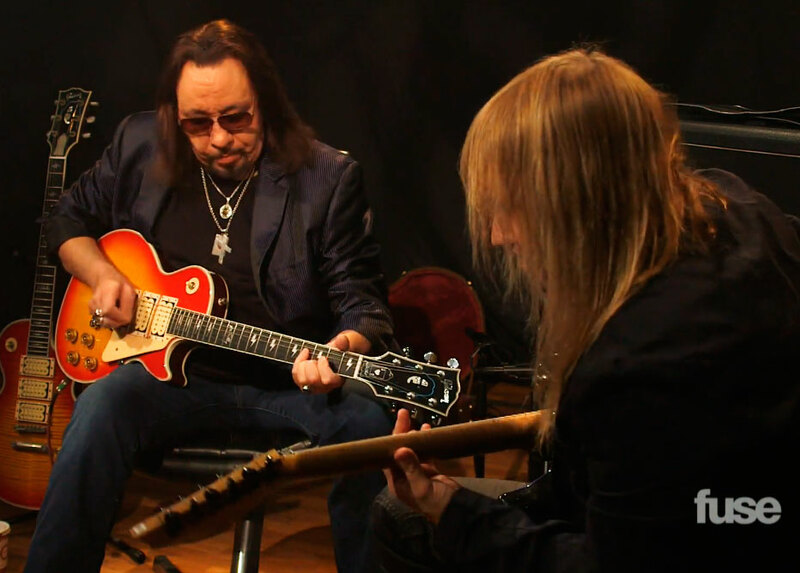 They each share their own ideologies behind writing solos and Frehley demonstrates the picking technique he’s known for while showing off his first custom guitar. Frehley’s new solo album, Space Invader, is out next week. Check out a song from it here. Caffery is currently in the midst of working on a new solo album of his own (he released a new single last year), as well as a new Trans-Siberian Orchestra record.